1. Each station at their discretion is processing their own QSL cards, therefore you must send your request along with your QSL card and a SASE directly to the station you wish to receive a card from. 2. 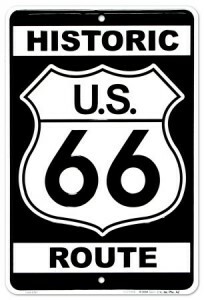 Citrus Belt Amateur Radio Club (CBARC) is the host for the Route 66 On The Air event, however it is NOT a forwarding service or QSL bureau. CBARC will NOT forward any QSL cards that are addressed to any other station. CBARC will only process requests that are addressed to their own event callsign. 3. When requesting a QSL card from any of the participating stations, you must include a SASE with your request. If a SASE is NOT included, it will be at the discretion of each participating stations whether or not to send their QSL card back to the requesting person. 4. Independent stations operating as “Mobile 66” may at their discretion issue a QSL card, ask them on the air for any QSL information. PLEASE “click here” for the QSL routing address for each of the participating Route 66 On The Air stations.